If you have recently purchased a purebred dalmatian then why not have some fun and enter a few dog shows. It's a good day out and a chance to meet people with similar interests and learn more about your breed. 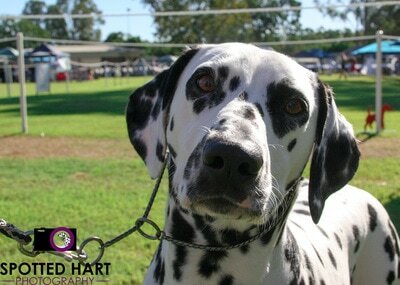 Your breeder should advise you how to register your dog with Dogs Queensland. 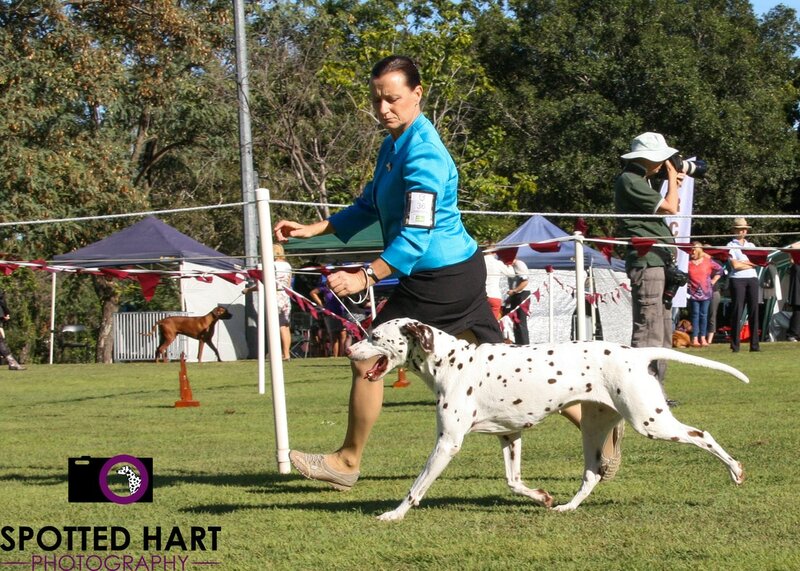 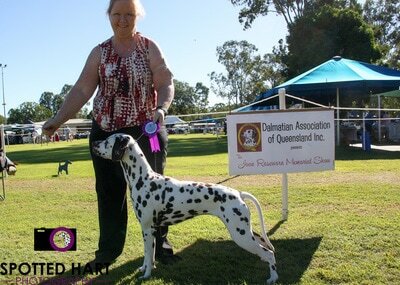 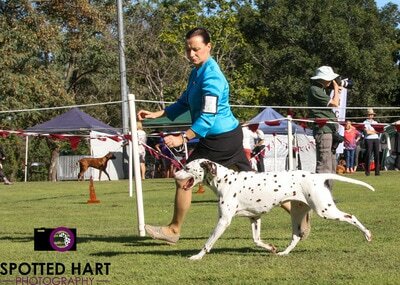 A pure bred dog registered with Dogs Queensland can be shown in the numerous dog shows held throughout Australia. 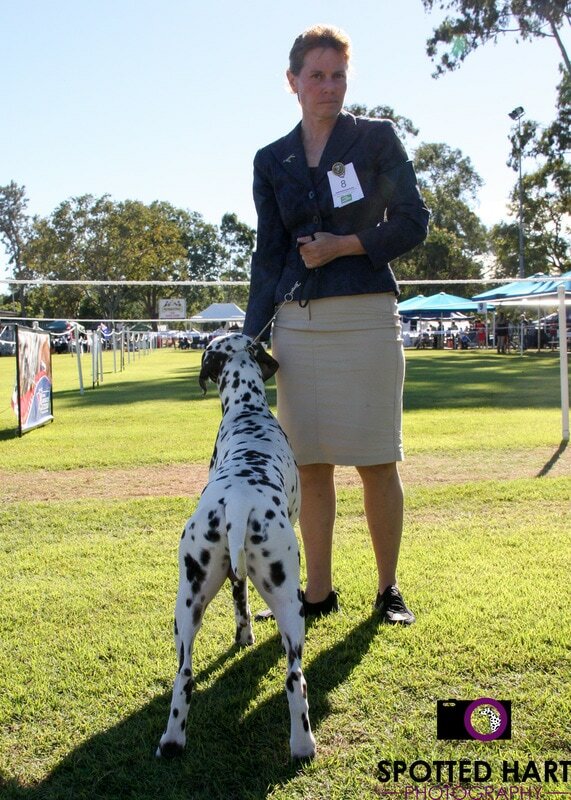 New 'Showies' should always check with your Dalmatian's Breeder before undertaking this activity. The 2019 shows will be held on Saturday 8th June at the Dogs Queensland Showgrounds. 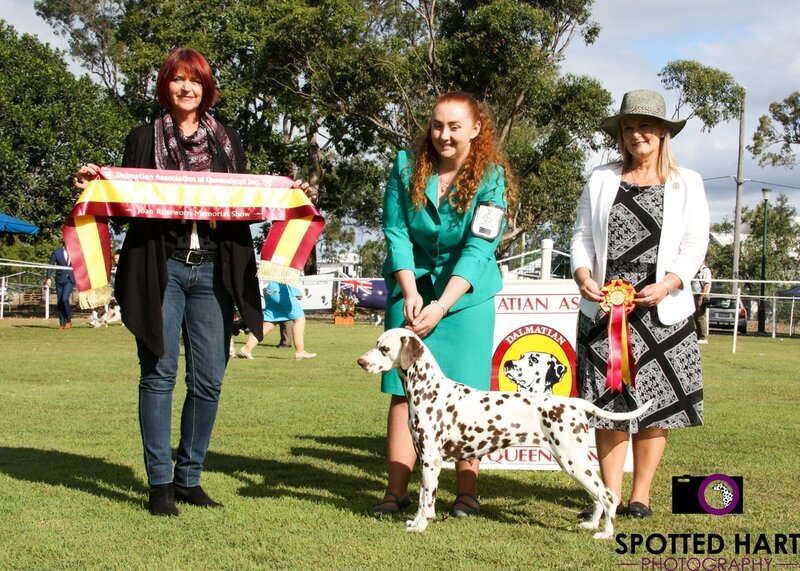 Members of the Association have to option of competing in a Pointscore Competition with the aim to earn the title of 'Top Dalmatian' for the year!